Motorola’s got a new smartphone coming this summer. 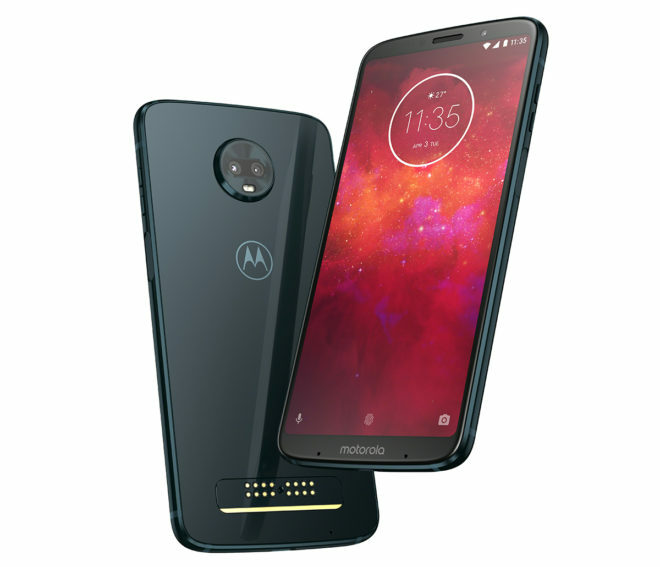 The Moto Z3 Play is the newest device in the Moto Z series, meaning that it supports Motorola’s Moto Mods that let you attach accessories like battery packs, a gamepad, speakers, or a projector to the back of the phone. In fact, when the Moto Z3 Play launches in the U.S. this summer, it’ll include a battery pack Moto Mod. The screen on the Moto Z3 Play is a 6.01-inch 2160×1080 Super AMOLED panel, and the front of the phone offers a 79 percent screen-to-body ratio. Around back there’s a dual camera setup with a 12MP sensor with f/1.7 aperture and a 5MP depth-sensing camera, and on the front of the phone there’s an 8MP wide angle camera that offers face unlock. Motorola has also equipped the Moto Z3 Play with an octa-core Snapdragon 636 processor and 4GB of RAM. There will be versions with 32GB and 64GB of built-in storage, but no matter which model you choose, you’ll get a microSD card slot for adding more storage. 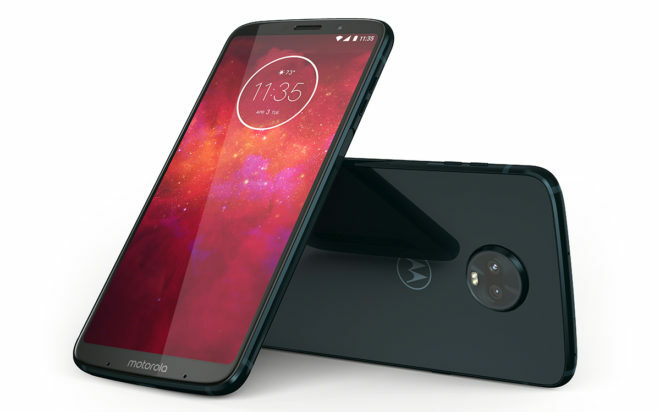 Powering the new Moto phone is a 3000mAh battery, and Motorola will give buyers a 15W TurboPower charger to recharge that battery in a hurry. Other notable specs of the Moto Z3 Play include a fingerprint reader, a splash-proof body, and Android 8.1 Oreo. T-Mobile launched the Moto Z2 Force Edition last year, but this Moto Z3 Play offers some upgrades over the Moto Z2 Force that could make it a good option for anyone interested in Motorola’s Moto Mods. For example, the Moto Z3 Play has a larger screen with slimmer bezels and a bigger battery than the Moto Z2 Force. So if Motorola’s snap-on battery packs, speakers, 360 camera, projector, and other Moto Mods seem cool to you, the Moto Z3 Play may be worth keeping an eye out for this summer. Why would anyone want to buy this over the OnePlus 6? The battery mod and the projector mod are awesome. If you’re not into those it’s probably $150 too expensive. How can anyone NOT be into a battery mod? Just no shatter shied display because that made the Z2 a POS . I’m tempted, but if it’s $100 more for 64gb, then I’ll wait for other phones to come out…released by Tmo or Metro. I didn’t know that T-Mobile used band 5. Nice band support. Tmo stop selling the 2 moto phones on their site anyway,just matter of when they will stop selling them in stores. Oh well only.I guess only Samsung and Lg makes phones,also HTC phone they were selling no more on their site.